roll your shoulders back, stick your chests out. A small amount of concealer can transform your appearance in a few seconds! Put it in the inner dark corners of your eyes, the outer corners of the eyes and on both sides of the nostrils. I would totally recommend to use Vichy Idealia Eyes, which targets dark circles, fine lines and shadow areas of the eye contour. Your skin will look healthier and more illuminant in just few moves. For those who think you need a bit more covering up, I would recomend to check out the new Chanel Perfection Lumiere Velvet fluid foundation, a lightweight second-skin foundation that gives smooth-effect finish and at the same time makes your skin look natural. 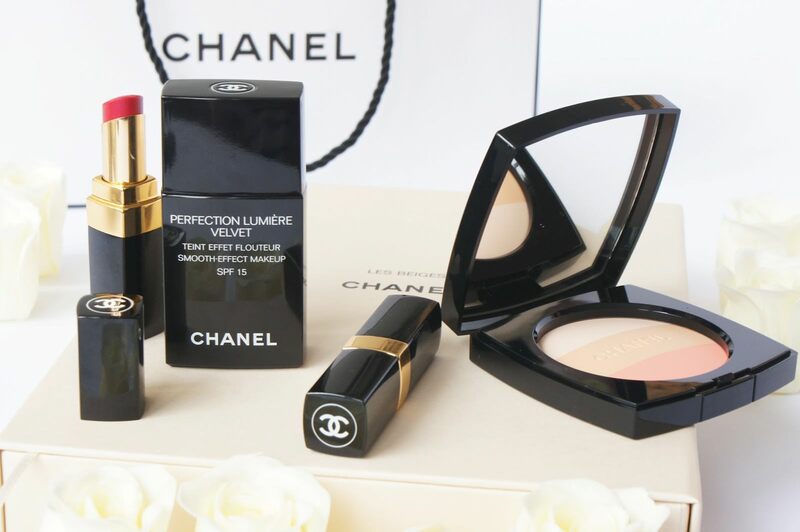 To finish up, you can add some color with the Chanel limited edition healthy glow multi-colour broad spectrum Les Beiges. However, improving your skin starts with proper skin care, do not forget to cleanse, tone and moisturise your skin! On days like this I would totally recomend you to go for a strong feminine scent, that gives you power and strength throughtout the entire day. My absolute favourite one is the new Thierry Mugler Alien Eau Extraordinare – an illuminating and intensely feminine Eau de Toilette. Floral, woody, amber creation in three revelations that will make you feel confident just after one spray. Give yourself some color! Wearing a bold lipstick will boost your confidence for sure. You can either go for a classic red, choose a deeper color or pick a trendy shade like fuchsia. Just make sure that you line your lips with a pencil and apply the lipstick with precision. If you’re not so much of a lippe person, try adding some color by wearing clothes or accessories in bold colors. First of all, don’t bother and stress yourselves about it – the majority of adult women have it. However, you can still do some things to reduce it. Eat healthy and clean, drink enough of water, do sports (exercise and sweat)… It will take time to see results, therefore I would definetly add a body slimming, cellulite reducing product. Shiseido Advanced Body Creator provides slimming and powerful anti-cellulite effects and maintains moisture while increasing skin’s softness, you will notice a cooling effect with the scent of grapefruit and spices. 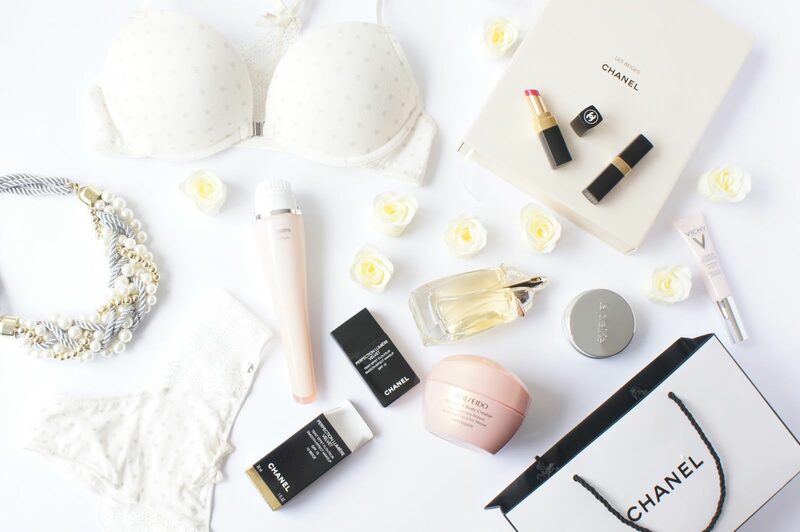 Treat yourself with some beauty products you’ve wanted for ages or those shoes you’ve been window shopping for the last few weeks (before they are sold out! ), pick some statement jewelry… Take time to do your manicure, sipp some wine and take a bubble bath. Take time for your self, read a book and don’t worry about all the things that should already be done. You’ll be far more efficient after being relaxed. Getting exercise improves your mood, releases stress, and eventually will help you feel better about your look. Taking 30 minutes of exercise three times a week is enough to have a positive impact. For me, it is a trip to the gym or running in the nature. If you need a confidence boost, try buying new underwear! My pick would defiently be cheeky, sensual and playful pair at the same time. I am (and my boyfriend is as well) totally in love with my new Cheek by Lisca Primrose set – a push up bra with a magnetic clip and brazilian briefs. I swear, it even makes it easier to put together the whole outfit if I wear lingerie I love. Res dobra objava, čimveč takih!!!! Ogrlica je iz spletne trgovine Perla, http://www.perla.si 🙂 Imenuje se Coco Glam. Perfect post dear! From the illustrating title to every single tip, and I must agree with all.